Sonal Mansingh is an eminent Indian classical dancer and choreographer, renowned for her Odissi dancing style. This biography of Sonal Mansingh provides detailed information about her childhood, life, achievements, works & timeline. 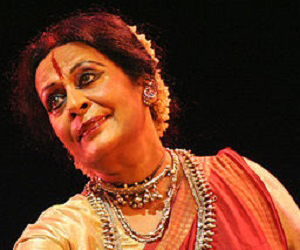 Sonal Mansingh is an eminent Indian classical dancer and choreographer, renowned for her Odissi dancing style. 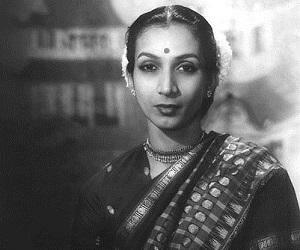 Prominently a dancer, she is also a philosopher, social reformer, thinker, choreographer and teacher. Despite the fact that dancing was not seen as a respectable profession in her time, she fought her way and achieved excellence in dancing which eventually connected her with the world. To her, dance is the medium through which she can present the views of the unheard. Her dance performances are simply amazing and her works have always been highly applauded, bringing her a lot of fame and fortune. In the history of Indian dance, her body of work is unique in range and scope, and covers several themes, both of traditional and contemporary interest. Lately, her work has shifted towards issues concerning women, environment, prison reforms and re-interpretation of ancient myths. A mesmerizing dancer, she is also a fine orator and through her determined participation in seminars, discussions, workshops and lectures she is able to influence a lot of people of her community. According to her, dance should speak the issues concerning the society at large and dancers must have love for literature, poetry, languages, sculpture and painting as dance is a rare confluence of all these arts. She was born on May 1, 1944 in Mumbai, British India to Arvind Pakvasa and his wife, Poornima Pakvasa, a well-known social worker. She was the second of their three children. Her grandfather, Mangal Das Pakvasa was a great freedom fighter who believed in equality of women. 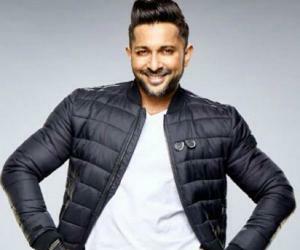 Along with her parents, he also boosted her artistic talent and encouraged her to pursue dancing from early on in life. At the age of four, she started learning Manipuri dance from a teacher in Nagpur. Later, she started learning Bharatnatyam from various gurus belonging to the Pandanallur School. She obtained her B.A. (Hons) degree in German Literature from Elphinstone College, Bombay. She also earned "Praveen" and "Kovid" degrees in Sanskrit from Bharatiya Vidya Bhavan. When she was 18, she traveled to Bangalore to learn Bharatnatyam from Prof. U. S. Krishna Rao and Chandrabhaga Devi. In 1965, her father-in-law, Dr. Mayadhar Mansingh, introduced her to Odissi guru Kelucharan Mohapatra and she began her training in Odissi dance. She started her dancing career in 1962, and over the years she has danced to several of her own choreographic works and has been responsible for a large number of group productions. In the 1970s, she performed to the poems ‘Mary Magdalane’ and ‘Sanyasi- Upagupta’. She also did dance performances on ‘Meghdootam of Kalidasa’ and ‘Kumara-Sambhavam of Kalidasa’. In 1977, she founded the Centre for Indian Classical Dances (CICD) in New Delhi to train students in Indian classical dance. The organization continues to work to promote performing arts and nurturing the cultural legacy of India. From 1977 to 1993, she performed many special items in Odissi and Bharatnatyam dance forms for her audience. In 1993, she produced, directed and performed in dance-drama ‘Ashta-Nayika’, which depicted the emotional phases of eight women in love. In 1994, she presented ‘Draupadi’, her interpretation of Draupadi’s plight when it is decided that she should be ‘shared’ among the five brothers, at the International Festival of Perth, Australia. In 2001, following the terror attacks on World Trade Center, she toured U.S.A and performed in various states including North Carolina, South Carolina and Atlanta. Her renowned choreographic works include 'Indradhanush', Manavata', 'Sabras', 'Devi Durga Aatmayan', 'Mera Bharat', 'Draupadi’. In 2000, her dance performances and lectures at various universities in North America were widely acclaimed in artistic as well as academic circles. In 1987 she received the prestigious Sangeet Natak Akademi Award. In 1991 she was honored with the Rajiv Gandhi Excellence Award. In 1992 she became the youngest recipient to be awarded Padma Bhushan, the third highest civilian award in the Republic of India. 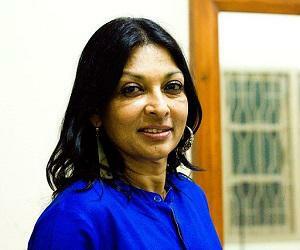 In 1994 she was conferred the Indira Priyadarshini Award. In 2003 she was honored with Padma Vibhusan, the second highest civilian award in the Republic of India. She was the second Indian woman dancer to receive this honor. In 2006 she became the recipient of Kalidas Samman of the Madhya Pradesh Government. In 2007 she received an honorary doctorate of science degree from the G.B. Pant University, Uttarakhand. She met Lalit Mansingh, former Indian diplomat, at an art festival and soon they got married. Being a diplomat, he was posted in Geneva and she returned after two years to Delhi to pursue her love of dancing. Eventually the couple divorced. After her first divorce, she got married to a German and moved to Canada. Unfortunately, this marriage also ended in a divorce and she came back to Delhi. 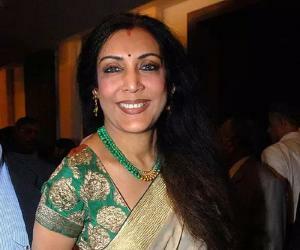 In 2002, Prakash Jha, noted Hindi film director, made a documentary film on her titled ‘Sonal’. The movie won the National Film Award for Best Non-Feature Film for the year.